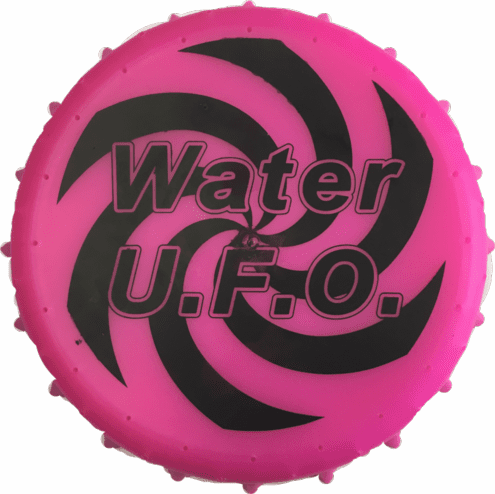 5 inch foam swimming pool toy UFO flyers when filled with water will spray when thrown like a Frisbee! Easy to throw, and soggy to catch! Fun for the pool, beach, or backyard sprinkler.